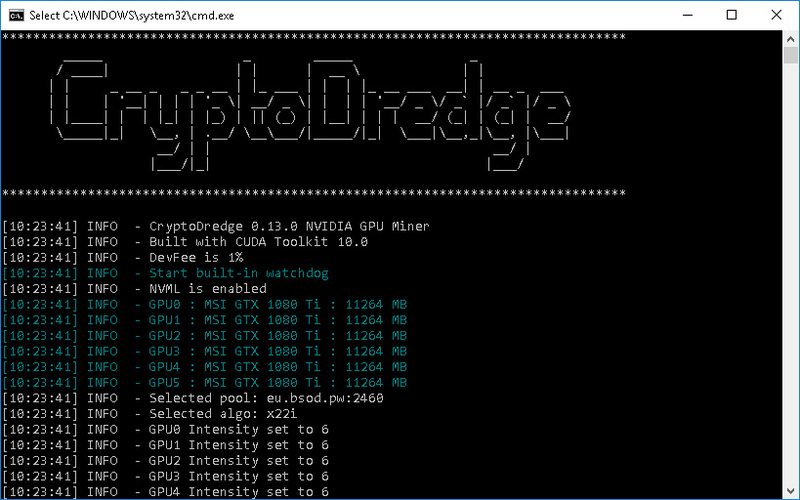 More updates from the CryptoDredge Nvidia GPU miner to version 0.13.0 that comes with support for two new crypto algorithms – X21S and Lyra2vc0ban, as well as some performance improvements and some fixes. The X21S is used by a new project called Ritocoin (RITO) that recently launched, the recent T-Rex 0.8.3 update was the first to add support for this new algorithm and still seems to be slightly faster. Lyra2vc0ban is a new algorithm implemented by the c0ban project as a countermeasure to ASICs for Lyra2REv2. CryptoDredge 0.13.0 comes with performance improvements for the X22i and Skunkhash algorithms, taking the top spot performance wise for X22i from T-Rex, so make sure you switch if mining SUQA at the moment and want to get the best possible performance. There is also a fix implemented for the Exosis and Dedal algorithm when started from BLAKE as well as a color hash order added for x16. 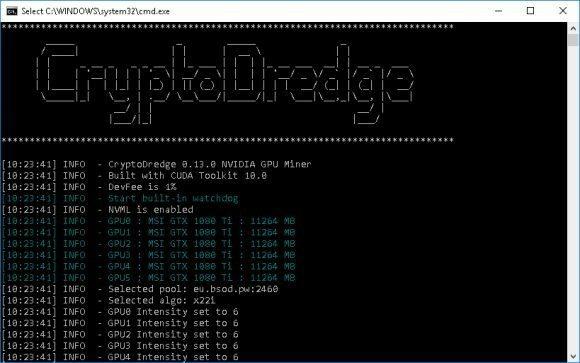 Do note that the CryptoDredge miner supports only Nvidia GPUs and is a closed source software that comes with 1% built-in developer fee and with binaries available for both Windows and Linux (CUDA 9.1/9.2/10.0). When the graphic cards are properly optimised, Trex is still faster.